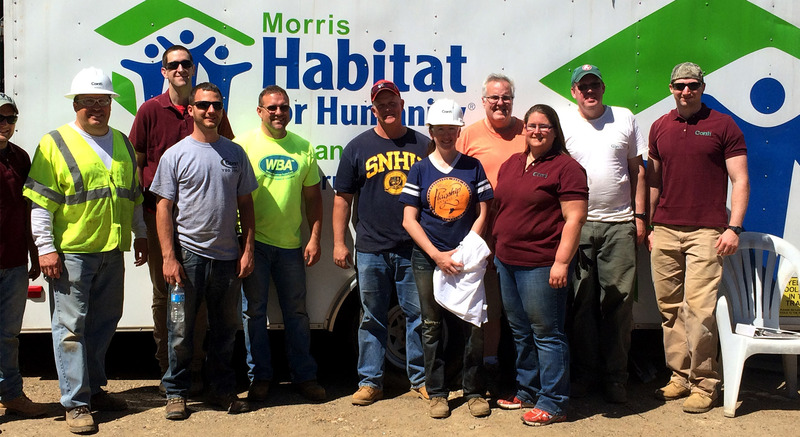 Conti employees brought their construction expertise to a community project by joining the Morris Habitat for Humanity in Dover, New Jersey. Organized by Conti Project Manager, Dave Torell, the group of 12 employees spent the day building exterior walls for new homes. Volunteers from a wide variety of Conti backgrounds come together on a regular basis to participate in Habitat for Humanity and other community development projects. This year, members with experience ranging from five months to 25 years from Conti’s Project Field Teams, Marketing/Proposals, HR, Accounting and Estimating worked with Habitat to build homes for veteran families.